Experience Small Ship Cruising at it's finest, on a small to mid-sized ocean cruise ship. We'll find the right cruise just for you, email us. tions in the world. Traveling to 187 ports in 58 countries, Azamara offers you a truly immersive experience in a way that only we can provide. Mare Nostrum, Our Sea. Now this can be yours. with historic names like Yalta, Sevastopol, and Odessa. South Pacific, and Fiji. A second small luxury cruise ship, the Tere Moana cruises French Polynesia, and The Paul Gauguin was built specifically to sail the waters of Tahiti, French Polynesia and South Pacific. 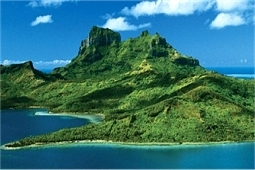 Like The Gauguin, The Moana specializes in warm-weather destinations, with an emphasis on delivering unique itineraries that larger ships cannot offer and exploring hidden ports throughout these regions. a unique experience at every port along the way. isles from the Tuamotus to the Cook Islands. Cruises offer more voyages of exploration and discovery to over 300 ports on all seven continents. numbering in the hundreds not the thousands. or Request Info or Search Regent Seven Seas! At Seabourn, we are passionate about travel, and believe that traveling for pleasure has a redemptive power that enriches people’s lives. Cruising on a Seabourn ship is unlike any other form of travel. heartfelt hospitality that is sincere, thoughtful and personal. This is the Seabourn experience -- a style of cruising earning Seabourn honors as the World’s Best Small Ship Cruise Line in surveys of readers by Condé Nast Traveler and Travel & Leisure. from 132 to 596 GUESTS when the SILVER MUSE makes her debut in 2017. Sea that makes her appearance this spring. of cosmopolitan and smaller ports of interest. 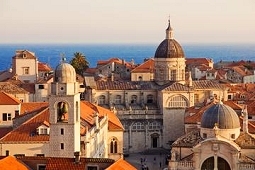 tions and classes; and local entertainment to complement included shore excursions. 1-888-666-7279 for more info, or Request a Quote. MORE DETAILS ON THESE SMALLER EXCLUSIVE & INCLUSIVE HIGHEST RATED CRUISE LINES - BY YOU THEIR GUESTS! out special things at sea and onshore, and go above and beyond your expectations. Simply put, we’re the voyage for those who love travel. You'll love where we take you...and how. Not only will Azamara take you to the most celebrated destinations on Earth, but on our mid-size ships, you’ll also go to less-traveled ports, enjoy scenic rivers and waterways that are off-limits to big cruise lines, and sail to the doorstep of great cities like Seville, Hong Kong, and Bordeaux. It all adds up to a richer travel experience. REGENT'S SEVEN SEAS In keeping with our brand promise of Luxury Goes Exploring, it is our objective to provide an ultra-luxury cruise experience in all corners of the world. Regent Seven Seas Cruises® is recognized as one of the world's premier luxury lines with features such as 6-star, all-suite, all-balcony ships and superior space and service ratios. However, even more compelling than the quality of our ships is the adventurous spirit of RSSC - the imaginative itineraries, unique shore excursions and land tours, and the other innovative services we offer discerning guests. Destination Services features personalized services and programs that enable you to travel at your own pace and explore those things which interest you the most. From unique, pre-bookable adventures ashore to exclusive pre- and post-cruise land programs, the world is quite literally in the palm of your hand when you travel with Regent Seven Seas Cruises®. Chosen as the world's top-rated cruise line six times by the readers of Condé Nast Traveler and Travel + Leisure magazines, Regent Seven Seas Cruises has earned a leadership role in the 6-star cruise industry. Our fleet of luxury ships provides a limited number of guests the highest standard of cruising excellence combined with exciting opportunities for discovery around the world. 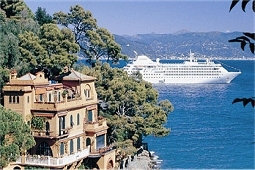 SEABOURN At Seabourn, we are passionate about travel. We believe that traveling for pleasure has a redemptive power that enriches people’s lives. And we believe that people should travel well. Cruising on a Seabourn ship is unlike any other form of travel. The experience is luxurious, yet relaxed -- elegant, yet casual -- sumptuous, yet understated. Our intimate ships visit the most desirable destinations worldwide, sailing to the heart of landmark cities, as well as to hidden gems where larger vessels cannot follow. Our ships attract interesting people, who seek to share experiences beyond the expected in places beyond the ordinary. Our acclaimed staff offers a unique style of heartfelt hospitality that is sincere, thoughtful and personal. SILVERSEA'S SILVER SHIPS Why Silversea? Our 8 Intimate Luxury Boutique Ships can show you the world in a far more personal, meaningful way. They can glide into small, secluded harbours not yet on the radar screen. Or transport you on an expedition to some of the most remote regions of the globe. 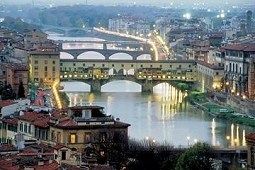 Then return at night to the gracious hospitality that reflects our Italian heritage. The lavish amenities of your private sanctuary at sea. And the relaxed, friendly camaraderie in the lounges and open bars where faces quickly become familiar and conversation strikes a common chord. Silversea voyages and cruise expeditions sail to over 800 destinations on all seven continents, more than any other cruise line — large or small. Our itineraries include many ports with late-night and overnight departures providing you with more time to experience the local colours and cultures. All-Inclusive, Nothing Extra for your to enjoy the ease, convenience and value of an all-inclusive cruise fare that includes almost all of your discretionary onboard expenses such as gratuities, room service, and both alcoholic and non-alcoholic beverages – those extra charges that can add up to so much more. Global Flavours for Worldly Travellers and we're renowned for our culinary excellence and innovative spirit, Silversea’s luxury cruises offer a choice of open-seating dining options throughout the fleet, as well as several specialty venues aboard all non-expedition ships. In fact Silver Spirit has six restaurants to choose from; rather remarkable for a ship of her size. Daily changing menus present a wide range of offerings including Continental, vegetarian and CuislineLite™ selections, as well as regional specialities unique to the destination. VIKING OCEANS all Verandah and Suite Ships offer the 'Ultimate Kind of Cruise'. Join us as we usher in a new era of ocean cruising by taking the innovative thinking behind our award-winning river cruises and bringing it to the epic setting of the sea. This cruise experience is the one our river cruise guests inspired us to create. We asked our guests for their feedback and crafted the ultimate kind of cruise - one focused on destinations. In 2015, the Viking Star sailed into the world, she will be joined by two equally elegant sister ships, Viking Sea and Viking Sky respectively in 2016 and 2017.
on your journey, to the help of our onboard staff who can plan your perfect day. Of course, as with our river cruises, your cruise fare includes everything you need, from meals and beverages to shore excursions and Wi-Fi. Because unlike other cruise lines, we believe you shouldn’t have to open your wallet every time you want a coffee, a glass of wine or a visit ashore. Our beautifully designed staterooms offer the ultimate in comfort, decor and amenities. We believe the best way to understand a country is through enrichment. On our cruises, you truly explore your destination - through its food, culture and customs. You can accompany the ship’s chef to a local market; or even view private collections at world-class museums. We have a history of providing our guests with a way to get below the surface, not just "checking off" each port. That’s why our ocean cruises are centered around where you go, not just how you get there, with hand-picked itineraries so you can immerse yourself in history, music, art, cuisine - everything about your destination. 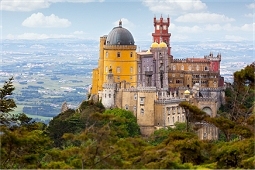 In addition, we include excursions led by knowledgeable local guides in every port of call. You learn about the lands through which you travel via enriching lectures that bring history to life; through cultural adventures; in-depth pre-trip materials; and on-demand programming, all designed to help you experience the most from your travels.